Royal wedding: Meghan Markle v Princess Diana – will she be the next people’s princess? 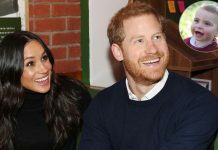 The royal wedding of Meghan Markle and Prince Harry is set up to be the wedding of the year, with popular Meghan already having captured the hearts of the nation. But how loved is she compared with Princess Diana? Will she be the next people’s princess? 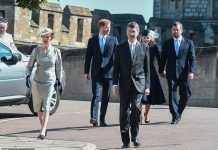 According to one royal commentator, Meghan mania is rife but people’s affection towards Diana is “indeed unique”. Meghan is already following in the footsteps of her late mother-in-law Princess Diana with her charitable work and charisma during public engagements, but is that where the similarities end? 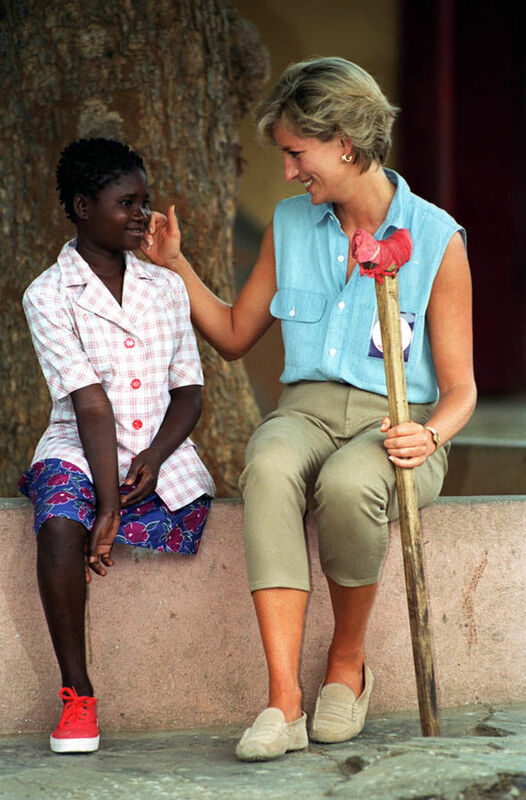 Royal commentator Richard Fitzwilliams said that although the two women are similar in their activism and tactile communication with others, Diana was the “trailblazer” who captured people’s hearts in a way never seen before because of her alleged mistreatment by the royal family and her ground-breaking work with the world’s sick and needy. Will Meghan Markle be the next people’s princess? Mr Fitzwilliams said the title of ‘people’s princess’ is an honour for Diana alone. 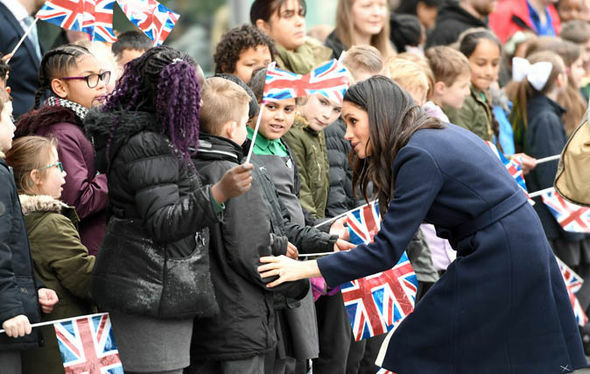 In contrast, Meghan has had unique experiences with the UN, charities and in her acting career which means she can “create her own image” in time away from that of the ‘people’s princess’. Mr Fitzwilliams said: “The ‘people’s princess’ was prime minister Tony Blair’s brilliant soubriquet to describe Diana after her death, the affection the people showed then was indeed unique. “The reason was her cumulative work for the causes she championed and because the public perception was she had been badly treated by Charles and not given support within the royal family. “Meghan is helping Harry carry the torch for Diana who is his inspiration. 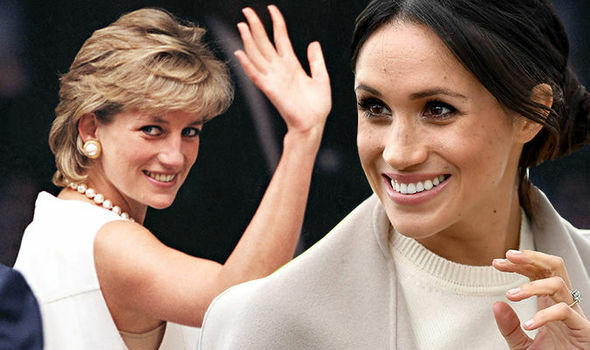 How popular is Meghan now compared to Princess Diana before she married Prince Charles? 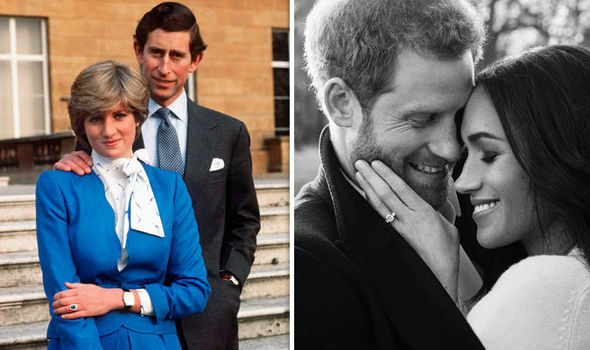 Meghan’s forthcoming nuptials to Harry are taking place in a completely different climate to when Diana married Prince Charles with less intrusion and better support from the Royal Family, according to Mr Fitzwilliams. The royal expert said: “Diana was enormously popular and, as you’ll remember, stalked by the paparazzi to get photos. 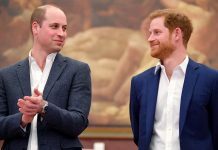 “Meghan is marrying Harry in a far less intrusive climate. 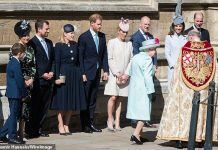 “The press she has received has been almost universally favourable and viewed as a welcome sign of the royal family becoming more inclusive and her trips with Harry have proved this with ‘Meghan mania’ among the crowds. 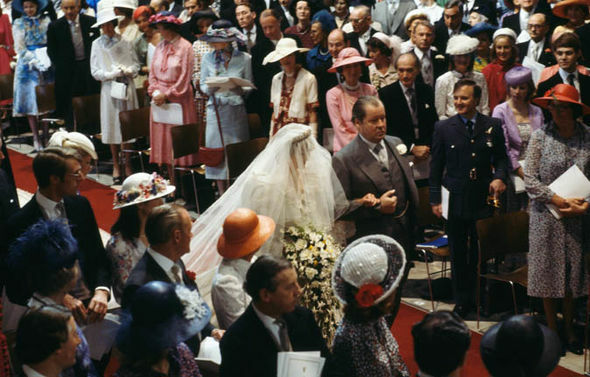 As heir to the throne, Prince Charles’ wedding at St Paul’s Cathedral was a “spectacular” affair attended by 3,500 people, including many foreign heads of states. 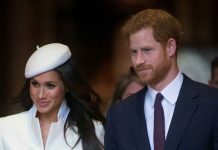 Harry and Meghan’s wedding is set to be more intimate with 600 guests invited to the ceremony at St George’s Chapel, Windsor Castle. Meghan, a former global ambassador for children’s charity World Vision, has already stated her intention to carry on her goodwill work after she is married. Like Diana, she will be very “hands on” as an activist, says Mr Fitzwilliams, and carry out activities away from the camera. Mr Fitzwilliams added one recent example of this was her reported private visits to victims of the Grenfell Tower disaster.